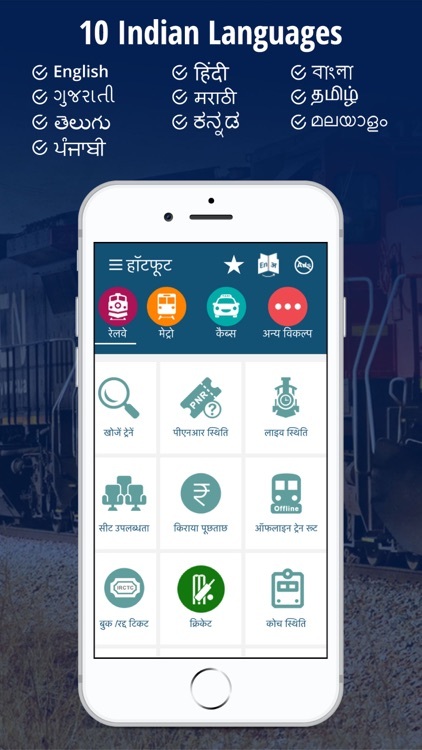 Hotfoot App makes it easy to check IRCTC PNR status live on mobile for your railway ticket. Just enter the 10-digit PNR and the app does the rest for you. It shows your IRCTC PNR status with passenger names, status prediction and provides live updates on the change in PNR status. You can run the current status inquiry on any IRCTC issued train ticket. 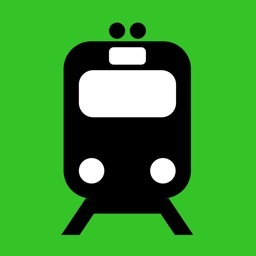 Hotfoot app gives you train running live status of all the 8000+ trains including 12925, 17229, 12482, 14322, 15232, 15231, 12624, 14673, 16316, 12403, 15210, 15028, 12466, 12415, 12696, 12695, 11302, 13131, 12134 and more. 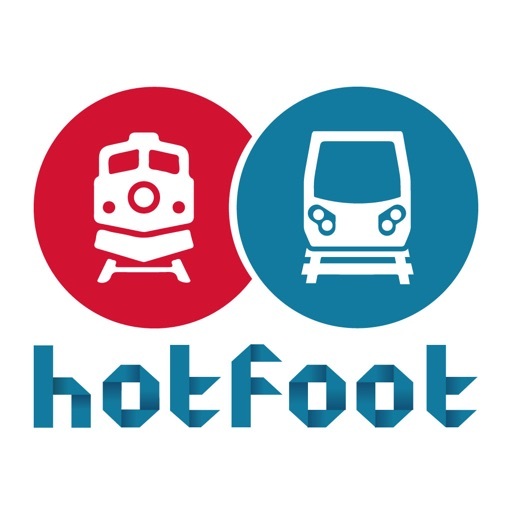 Hotfoot app gives you live station status when inside the train without the need of internet. 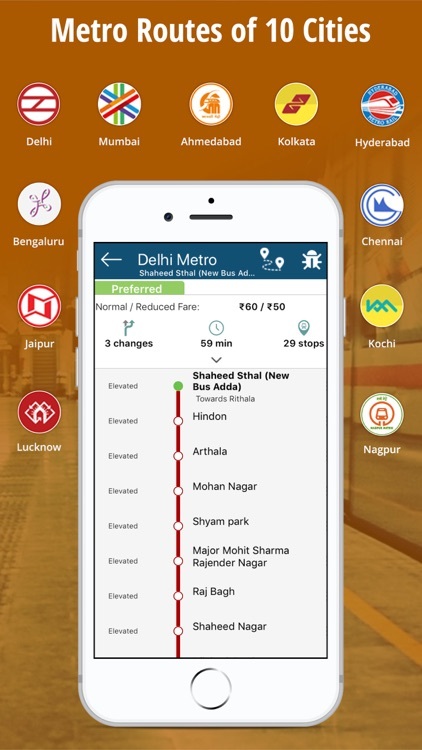 The train schedules are stored inside the app for offline use. 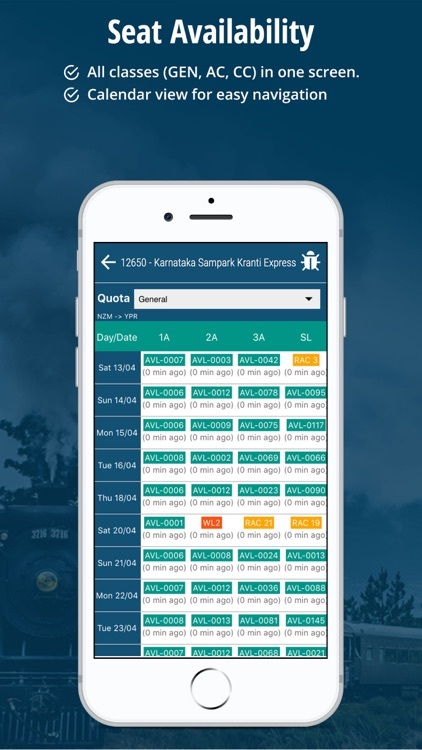 Hotfoot app lets you check train seat availability for any class in an easy-to-use calendar layout. Just tap on the calendar to see the availability of train seats. It includes train seat availability for all popular trains 07005, 14206, 12150, 12565, 12225, 12402, 19038, 12703, 11060, 12149, 15097, 12367, 15232, 12398, 13049, 12915, 19041, 12321, 12860, 12204, 11062, 19042, 12533, 11079, 12393 and other 7000 trains. Can I book a tatkal ticket from this better than IRCTC app? Yes, you can book both regular and tatkal tickets using the IRCTC portal from within the hotfoot app. 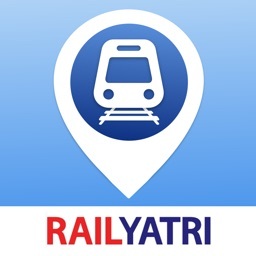 How to book Tatkal ticket from this app? We have added Guide and Tutorial inside the app to help our users. 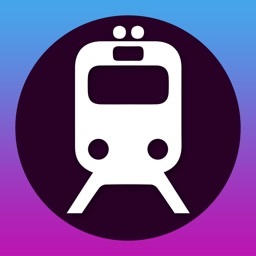 Why is the hotfoot app better than Rail Connect, IRCTC app, iXigo app, NDTV rail app, Rail Yatri, Trainman, Where is my Train, ConfirmTkt etc? 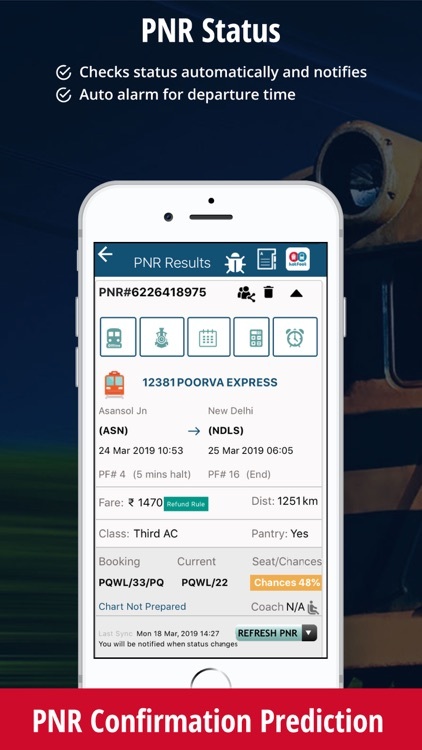 We not only provide PNR status check for railway ticket, train seat availability, train running live status, NTES Rail Enquiry System but also information on Fares, Platforms, Coaches, Meal Charges, Offline Train Routes, Cancelled Trains, Seat Map, Alarm and much more. What is covered under the Metro option? 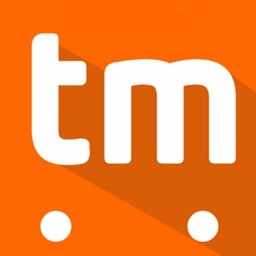 We have Delhi Metro map that includes Magenta Line Metro Map, Pink Line Metro Map, Hyderabad Metro Timings, Nearest Metro Stations, Mumbai Metro, Bengaluru Metro including Namma Metro Fare Calculator, Purple Link Namma Metro, Kochi Metro Stations List, Pune Metro, Lucknow Metro, Kolkata Metro Rail Timings, Jaipur Metro and Chennai Metro. What is Spot Your Train? 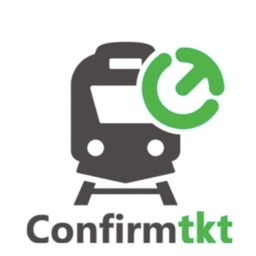 Get Live Status of Train anytime, anywhere. This works on GPS and does not require Internet within our app. Please try it from "Train Running Status" feature of our app. Disclaimer: The app is privately maintained & is not affiliated to Indian Railways, NTES, IRCTC or any other Indian Railway apps or Metro App. We are not responsible for failed transactions. All ticket reservations, refunds etc is handled by IRCTC directly.